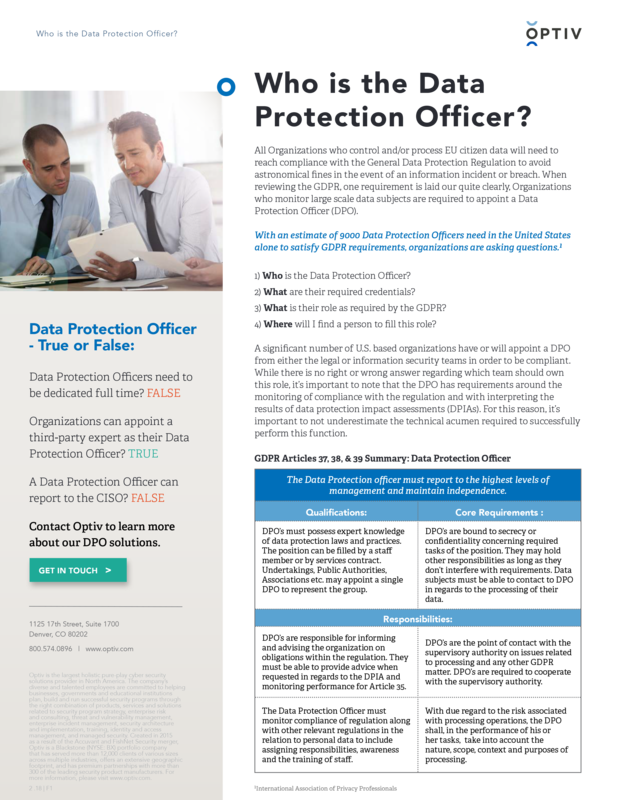 Home Explore Optiv Insights Downloads Who is the Data Protection Officer? One of the biggest areas of impact with the General Data Protection Regulation (GDPR) is the requirement to appoint a data protection officer (DPO) should the organization monitor large scale data subject rights. Optiv clients are asking: Who is the DPO? What are their required credentials? What is their role as required by GDPR? Where will I find a candidate to fill this role? In this brief, we break down the role of the DPO and answer some myths about responsibilities.